European captain Thomas Bjørn has announced that Luke Donald, Padraig Harrington, Graeme McDowell and Lee Westwood will join Robert Karlsson to complete the European Vice-Captain line-up for Tte 2018 Ryder Cup match against the United States at Le Golf National near Paris from September 28-30. 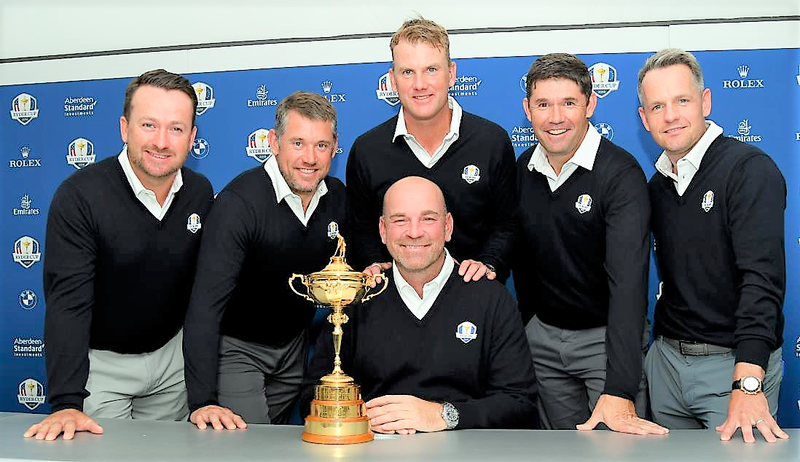 The quartet will bring a wealth of knowledge and experience to the Dane’s backroom team, courtesy of a combined 24 Ryder Cup appearances, joining Swede Karlsson, who featured in the 2006 and 2008 contests, to bring that total figure to 26. Between them, Donald, Harrington, Karlsson, McDowell and Westwood have also amassed a grand total of 56 points for Europe over the 19-year spell from 1997 to 2016.